Tempe Young Professionals (TYP) is committed to engaging and empowering Tempe’s future leaders through community building, professional development, and social opportunities. We invite you to join our rapidly expanding network of young professionals, local businesses and community organizations as a member. This opportunity would give exclusive access for you to engage and connect with Tempe’s only young professional program. Sign up to receive email updates from TYP. When you sign up to receive TYP email updates, you will become a General Member, meaning you are invited to public TYP events, including socials, professional development workshops, and networking mixers. Tempe Young Professionals (TYP) is committed to engaging and empowering Tempe’s future leaders through community building, professional development, and social opportunities. Valley Metro's Shop On Program offers discounts, contests, giveaways and special event previews to the Tempe community for the Tempe Streetcar project. Get your Shop On Rewards card HERE. TYP April Mixer at The Shop Beer Co.
Join us at The Shop Beer Co. for networking, complimentary appetizers, trivia, and prizes provided by STA Travel! Complimentary appetizers: catered Thai food will be provided. Drinks will also be on happy hour prices. Exclusive TYP deals: STA Travel is offering $100 off round-trip flights to Thailand and 20% off G Adventures Asia Trips! 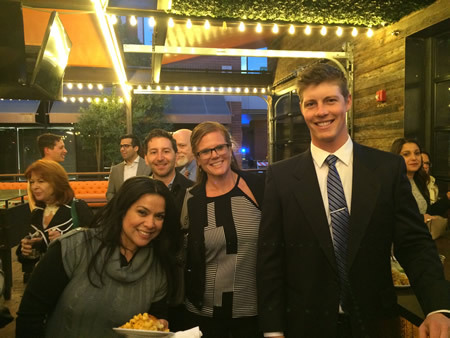 Our mixers are a great opportunity to mingle with other young professionals, make friends, and learn about TYP! These monthly events are always open to ALL PROFESSIONALS. Any field. Don't forget to bring a business card! Everyone is welcome to come by, mingle, and learn about Tempe Young Professionals and our board members.